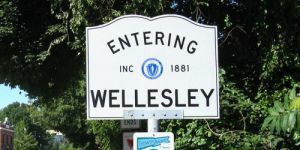 NerdWallet.com recently named the Town of Wellesley among “The Most Educated Places in America,” and Wellesley continues to top lists of the priciest real estate outside California, according to the Boston Globe. It’s also the town Perry’s Networking calls home. Our office in Wellesley helps businesses throughout the Boston metropolitan area manage and maintain professional IT infrastructures. Handling everything from virus infection and software issues through to hardware failure and connectivity problems, Perry’s comprehensive IT support services helps businesses develop efficient processes and systems that reduce costs while affording increased flexibility. Time and unexpected events can overtake any business at any time. Besides fire, flood and theft, hard drive and network failure is an ever-present possibility for any business. Having a pre-emptive plan and implementing strategies to quickly replace critical systems and restore valuable data is crucial to the continuity of your business. Perry’s IT support team delivers disaster recovery expertise as well as planning and support for when unforeseen occurrences threaten your business. We back up data and replace hardware on a regular basis. We also provide emergency power systems and temporary hardware and software needed to bridge the gap between disaster and full recovery. Businesses managers throughout Wellesley can rest easy knowing there is a plan and procedure in place. In 2013 over 75 percent of businesses will be using at least one type of cloud service, according to cloudindustryforum.org. Most agencies say efficiency is the main reason. Moving selected IT systems to the cloud is a key way to reduce overhead while creating a versatile and highly efficient IT system. Perry’s Network team specializes in cloud services and virtualization. By moving servers, communications and desktop environments to the cloud, businesses in Wellesley can achieve a truly centralized IT system capable of supporting remote offices and workers and reducing overhead. The best part is, it’s scalable and always current. Your IT system can instantly expand and contract as your business does. Software and systems that are critical to your business stay updated, without having to manually update each individual machine.